Also Serving Port St. John, Cocoa, Rockledge, Cape Canaveral, Cocoa Beach, Port St. John, Titusville, Viera, Melbourne and Palm Bay. Dr. Edward W. Hoglund has been providing quality care at Hoglund Chiropractic Center over the past 33 years serving Merritt Island and Brevard County, Florida. We offer compassionate care committed to serving patients who primarily suffer from back pain, neck pain and headaches. Our goal is to provide treatment that is gentle, safe and highly effective through various treatment procedures available and implemented according to patient comfort level. 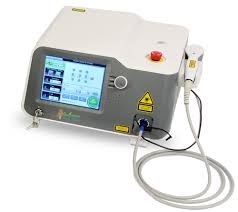 We offer state of the art equipment for treatment including Class IV deep penetrating high level 30 Watt Aspen (Pinnacle) hot laser therapy system and DTS cervical and lumbar decompression traction system. Arthrostim spinal adjusting instrument and VibraCussor soft tissue massage instrument. Chiropractic healthcare is conservative and involves no drugs or surgery. Dr. Hoglund is a Certified Medical Examiner to perform affordable DOT CDL driver physical exams priced at $75. Sports physicals for school students $35.00. Serving Merritt Island, Cocoa DOT CDL physical exams as well as Port St. John, Cocoa Beach, Cape Canaveral, Rockledge, Melbourne, Palm Bay, Titusville, and Mims,. The majority of the new patients seen at our office are in acute or subacute pain and not able to function properly. We also evaluate and treat patients with chronic and/or recurring problems to manage pain and function. We treat and evaluate car accident injury. Return to functioning with no or little pain without long drawn-out treatment plans. If you're dealing with an injury, trying to manage pain, or just want to come in for a checkup and routine correction, we can provide the chiropractic care you are seeking. We welcome patients from age 6 to adulthood. Affordable care with consultations free of charge. We know and understand that your time is valuable and we offer convenient office hours. Our office is open Monday through Friday from 8 AM to 5:00 PM and closed for lunch from 12:00 to 2:00. If you have not been to a chiropractor before and want to find out more, please email us or call 321-452-5826 to receive the answers to your questions from our experienced team.We also welcome referrals, so we invite you to share our chiropractic and wellness information with your friends and loved ones. "I have benefited tremendously from the chiropractic care I received from Dr. Hoglund."